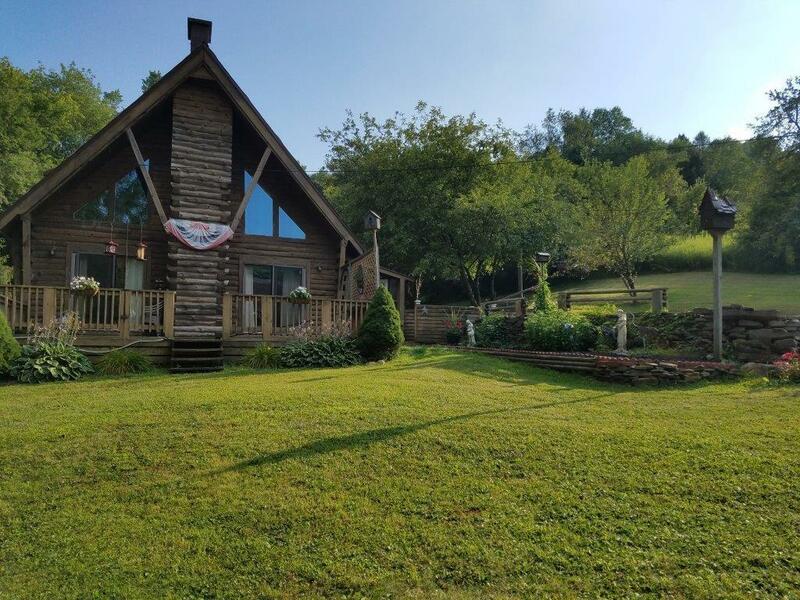 This 3 BR log home is nestled on a secluded country lot just south of Olean. Enjoy the views of the wildlife and the neighboring pond from the large deck. The extra large 4 level barn/garage would ideal for a contractor and/ or for housing all of the "boy toys". As an added bonus a separate shop is also included.